Marcel Wälde joins us this year as a 2018 alumni contributor to share his experience since graduating from the Diploma Programme (DP). This is his second story in the series. 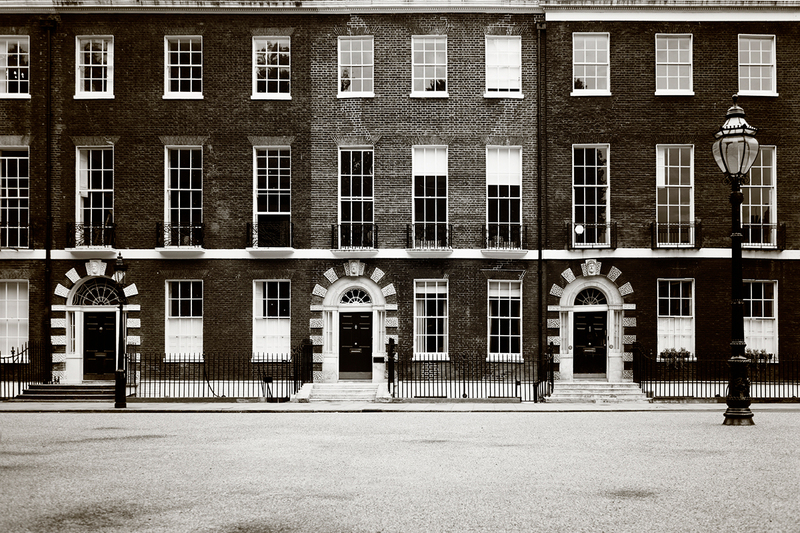 Pictured above is Bedford Square, London, UK, the neighborhood that has served as the home of the Architectural Association (AA) since 1917. Our present culture seems most comfortable with activities, ideas and things that are in some way measurable. This is an observation that readers, who are studying or have otherwise been involved in education recently, might share: although learners are encouraged to develop an array of skills and knowledge in different subjects today, learning outcomes that make a difference to a student’s future are measured primarily through numerical parameters, such as hours and grades. Although many universities do factor-in qualitative data in their admissions processes, these have had the paradoxical effect of exerting the pressures associated with quantification on further areas of a student’s life, beyond grade point averages and SAT-Scores. There is nothing wrong with identifying and awarding achievement. The increased drive towards the quantitative goes far beyond education, however, and inclines us toward a mode of thinking with two significant shortcomings: it underestimates the importance that creative risk has for many endeavours, and it misunderstands the value that the learning-style of the arts and the humanities can bring to the process of inventing solutions. A conversation with an artist from Germany, Marcel Odenbach, recently gave me occasion to think about this. He had remarked to me how art students in particular, and young people in general these days appear to be more adjusted, having high expectations of themselves while taking fewer creative risks. This, of course, makes for art that might be sophisticated in technique or conceptually clever, but not really game-changing. Now, this sounds rather a lot like rose-tinted glasses or that it all used to be better in the olden days. We like to believe that, owed to factors such as new media technologies, the world has changed significantly since. But could recent history and its pioneering actors have something to teach us about the relationship of innovation and risk-taking? Odenbach came of age in the 1970s, which in many parts of the world was a time of great social change and more open debate about fundamental issues. The experience of this decade must have had a formative impact on him: Having studied architecture and the history of art, he not only changed fields altogether by becoming an artist, but took up the medium of video, which back then was not a familiar sight in museums as it is now but was still largely unheard of. The large risk that was involved is apparent, and it did pay off for Odenbach, who since then has established himself as a successful artist and as a professor has also been involved in teaching. The arts demonstrate that what we later come to recognise as paradigm-changing innovations could hardly have been planned, and as a result are, more often than not, the work of individuals who took the road less-traveled — who were willing to engage in truly open-ended thought and experimentation. Roughly around the time Odenbach began exploring video, the Architectural Association (AA) in London, which remains a pedigree name in architectural education to this day, was going through a turbulent, exciting period. Having been the home of Archigram, an influential group of alternative architects in the ‘60s, the school entered a phase of creative structural openness after Alvin Boyarsky took the helm as chairman in 1971: there was no central, conventional curriculum, but a disparate system of units that would compete against each other, while students made competitive applications to the units they wanted to join. The activities that took place once they were admitted, meanwhile, often appeared only tangentially related to architecture. More than the lip-services to creativity that have become popular in corporate culture of recent, this genuinely uncertain process of transformation would irk most of today’s productivity and outcome-oriented decision-makers, if not students. But the ‘70s were an otherwise dire time for architecture: its previous ideas seemed to have run out of steam, and its added value to society was subjected to serious questioning by the wider public. The curious experiments of the AA students and staff must have seemed aimless to any myopic mind inclined to ask, “where is the building?” Ultimately, however, this expanded pedagogy produced an exceptionally productive generation of students who would, in time, inject architectural design with new life. The idea of a paradigm-change is not only relevant to the arts. In fact, the term was coined by Thomas Kuhn, a historian and philosopher of science, to describe the process of the advancement of knowledge in the sciences. Frequently taught as part of the IB diploma’s theory of knowledge (TOK) course, Kuhn’s theory suggests that significant advancements in knowledge occur not from within the already explored system, but during transitions within which its established base assumptions appear to fail. One could make the case that this happened in art (and, in a somewhat different way, in architecture) after the 1960s, prior to which artists, in movements such as Minimal Art, had explored and clarified the paradigm of modernism and its repertoire of forms in an encyclopedic way. Nowadays, technology has affected us to behave similarly in response to a digital paradigm, evident in the way we organise our creative processes, our work and education and, speaking more generally, our methods of assessing value. In the face of an overall pressure to quantify, we increasingly rely on numbers, and perhaps not often enough ask how they come about, or what they mean in contexts that are larger than the assumptions made by the models that generate them. Why compare this to the arts, which in digital times are frequently dismissed as “soft”? Because while the logic of computers belongs to the hard sciences, our behavioural adaptations to them are cultural. Information technology in and of itself cannot fully account for our newly-learned timidness and impatience or our reliance on quick forms of feedback to assess value in constrained ways. In the world of education, this overall culture drives students to increasingly consider degrees as investments—of time and money—pursued for narrowly-defined aims. The manner in which their learning is organised and assessed by those running the institutions does little to dispel this notion. As faithful encyclopedists to computation, we are complicit in casting its poorly-understood net ever further, while as a society we seem to be stagnating on multiple fronts. From the environment, to the economy and politics, we appear to be victims of circumstances larger than us, an awareness for potential solutions remaining sparse. Beyond short-term feedback loops, the stamina for open-ended experiments and sustained big-picture thinking again seems to be truly necessary to make progress. What’s the colour of a number? From Odenbach’s video-art to Alvin Boyarsky’s architecture school to Steyerl’s appeal for taking games seriously: original ventures that have the force to shift how matters are approached through action and reflected in thought emerge out of solution-spaces whose definitions are not laid-out in advance, but which they contribute to as they unfold. These precedents suggest that the tradeoffs are not competitiveness or foresight, but predefined outcomes that can be measured. There is no question that the quantifying machines have already had a big impact on how we organise our everyday lives. Seeing how their impact on society has confirmed our continued need for experimental thought, for the fuzzy links running from numbers to values, we should continue to support the idea of learning as an open-ended project. “AA School of Architecture – History.” Architectural Association School of Architecture. February 2010. https://www.aaschool.ac.uk/AASCHOOL/LIBRARY/aahistory.php.